The concerns you have about your skin will be unique to you, and what has helped one person with a similar issue may, or may not, not have the same effect on you! 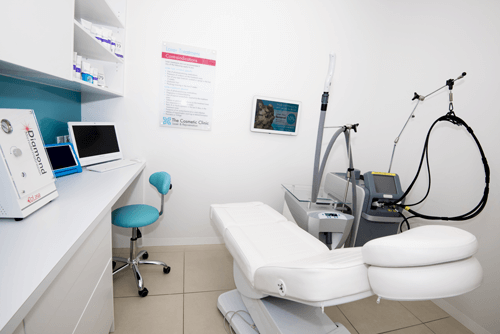 Finding a treatment that will give the results you’re after can be confusing – but our expert clinicians are here to help. We always work closely with our clients to understand their skin, and identify the perfect treatment, or treatment program, to give them the results they’re looking for. Almost everyone has had a pimple at some stage in their life, but acne is different. Ageing is natural, as are the visible signs of aging – thinner, drier skin, fine lines and wrinkles, and uneven pigmentation. Often misunderstood (and picked at…), blackheads are a form of acne. Laughter, squinting, and the passage of time all cause those fine but deep lines and wrinkles at the corners of our eyes. Often caused by fatigue or shadowing from puffiness for a variety of reasons, dark circles or bags around the eyes can be alleviated. Dry skin is incredibly common, often caused by hereditary factors, aging, environmental factors like air-con, or seasonal changes. Large or ‘open’ visible pores are a common skin concern. They can be caused by genetic and lifestyle factors, and become more evident as we age and skin loses elastin. Hyperhidrosis, the medical name for excessive sweating, is a common condition that can cause embarrassment to sufferers. Over time, various external and internal factors work against the volume in your skin. A looser, less well-defined jaw is a common sign of aging. Sun exposure, lifestyle and genetics all play a role in how quickly your skin ages, and where this aging is most visible. Lines and wrinkles are classed as either dynamic – the lines caused by repetitive movement, such as laughter lines and crow’s feet. As we age, we all experience a loss of skin elasticity – the extent to which will depend on various genetic and lifestyle factors. Polycystic Ovary Syndrome (PCOS) is a common condition that affects hormone levels and can cause a variety of symptoms. Over time sun exposure can leave skin with dark spots, freckling and uneven tone. Caused by capillaries that remain open, redness and rosacea often affect areas around the nose, cheeks and forehead. No matter how hard we try to protect ourselves we all experience things that injure or damage our skin. Laughing, smiling, being happy is wonderful, but yes, at some point in your life all your joys will create deeper lines on your face. Stretch marks, or striae, occur during a period of rapid growth, such as adolescence or pregnancy. Who doesn’t love a good bathe in the sunshine? Unfortunately, this can cause significant damage to the sensitive skin of the face. Whether through ageing or through genetics, lips can appear thin or uneven. We can give you more even, fuller, luscious lips. Hair removal is part of many people’s grooming routines, though it can be time consuming, expensive, and painful.